Peninsula Clean Energy (PCE) has awarded grants of up to $75,000 each for six innovative local pilot projects that reduce greenhouse gas emissions and deliver benefits to the communities of San Mateo County. The Community Pilot Program awards will fund programs within the county to repair homes for low-income residents, promote access to electric vehicles, switch appliances from gas to electric, provide clean backup power for emergency shelters, and ensure safe appliance recycling. Read below for more information on the selected pilot projects. For questions or inquiries about any of these pilot programs, contact programs@peninsulacleanenergy.com. This program will responsibly recycle and dispose of old refrigerators and freezers to capture high impact greenhouse gas sources and prevent contaminants from getting into the landfill. ARCA provides pick up and disposal services adhering to strict EPA standards. Residents will receive a $35 incentive for participating. Program will run on a first-come first-serve basis until 350 units are recycled. To learn apply and learn more about the program qualifications visit our Refrigerator Recycling Program page. This pilot will help five San Mateo County residents replace some or all of their natural gas appliances with electric versions. Electric appliances reduce fossil fuel consumption, improve indoor air quality and safety, and are powered with clean, renewable energy. Participants will receive free design assistance services from Ardenna such as an in-depth technical and financial analysis, help with permitting and contractors, and monitoring the performance of the system, as well as $2,000 from PCE to defray installation costs. The five households will be chosen to represent several types of homes typical of the county in order to model cost effectiveness of the upgrades. Project findings may be used to design larger-scale customer programs. To apply for this pilot visit: climate-comfort.com/apply. The deadline to apply is April 7th. This pilot will provide upgrades to a select number of low-income homes in East Palo Alto and Daly City with deferred maintenance, such as water leaks and bad roofs. These healthy home remediations and repairs would then enable these homes to receive energy efficiency upgrades and/or free solar from other existing energy assistance programs. 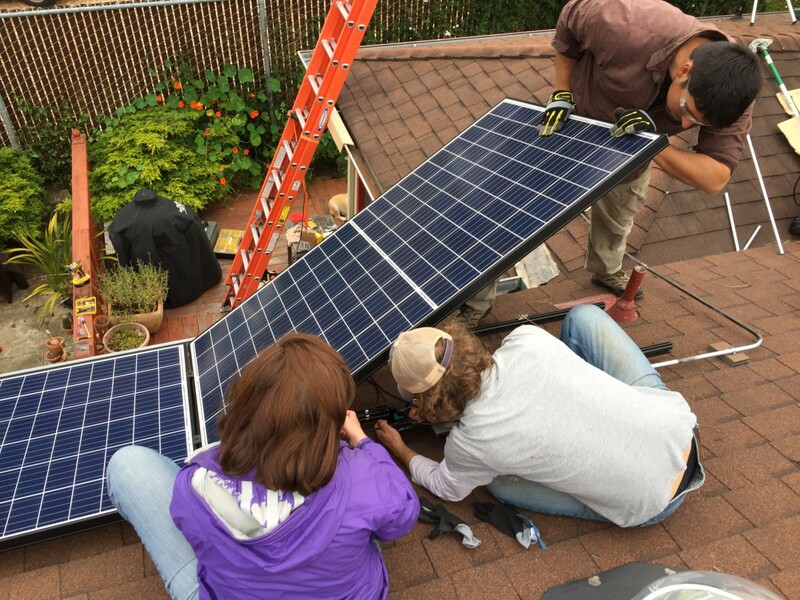 Funding from this pilot will enable CA Interfaith Power & Light to recruit and develop plans to equip three to five faith institutions in San Mateo County to act as community emergency hubs with clean energy back up power via solar panels and battery storage. These facilities will be open to all residents in the community in the event of an emergency such as a major earthquake. Under this pilot, Envoy will deploy three pure battery electric vehicles in a low to moderate income community apartment complex to be used for car sharing. Project will also evaluate potential for an ongoing business model. This pilot will develop a clean fuel toolkit to assist local governments in replacing traditional gas-powered fleets with electric vehicles. The San Mateo County Office of Sustainability will also provide technical assistance to jurisdictions interested in strategic planning of their fleets to identify a custom roadmap based on their vehicle use cases, budget, and climate goals. Lastly, the pilot will implement a green fleet strategy for the County fleet, which will include acquiring 1-3 electric vehicles and electric bicycles.